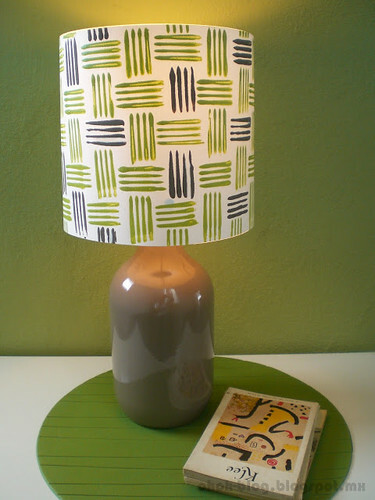 I came across the Ohoh Blog on Kollabora and was attracted to Ama Ryllis's clever ideas. Even her blogging name is a play on her first name, Amaryllis. Pretty! By the way, if you aren't familiar with Kollabora, it's a project-sharing site where you can learn new skills. Sewing and knitting are especially popular, but a paper crafts category was recently added. Ama studied interior design in Belgium, but now lives in Mexico with her young family. 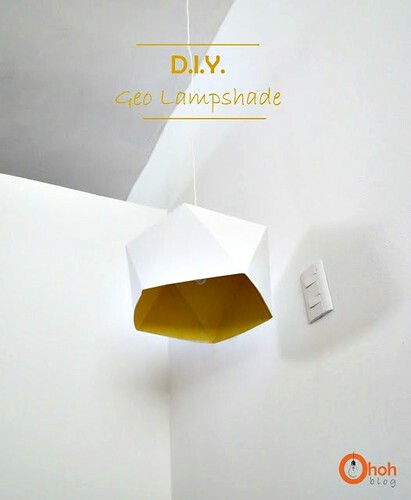 She enjoys creating simple, yet stylish ways to decorate their home and lucky for us, shares her projects via tutorials. Admittedly, English is not Ama's first language so the text instructions are not elaborate, but between excellent photos, downloadable templates, and the fact that she is happy to answer questions, her ideas are definitely worth a try. 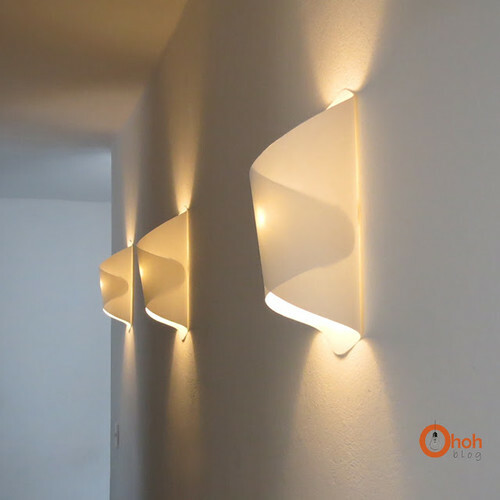 I love the sculptured lines of these wall lamps and folded Geo lampshade. With the use of just a few supplies - Canson paper, wooden dowels, and acrylic paint, for example - Ama has been able to light her home inexpensively. 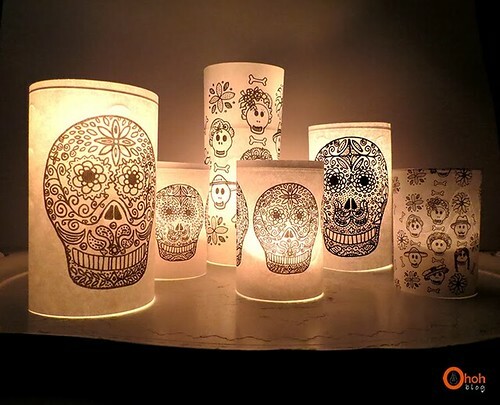 With Halloween on the horizon she designed these skull luminaries, inspired by the Mexican el dia de los muertos. 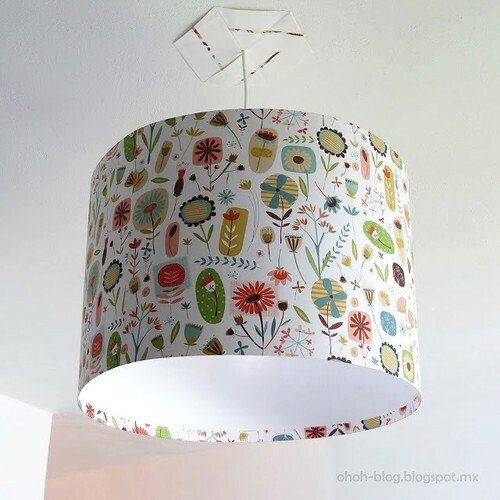 See lots more home decor and fashion ideas, not just paper-related, on Ama's Ohoh Blog. On a completely different note, I enjoyed recording a video [edit: no longer available] with Diane Gilleland about blogging, building a platform, and All Things Paper, the book. If you don't know Diane of Craftypod, [edit: site no longer available] she offers perceptive insight into the worlds of crafting and blogging, and is also an author. Quilting Happiness is her newest title. Really really enjoyed your interview Ann, your book looks so perfect with such amazing projects . Thanks Suganthi, that's so nice of you to say. As a paper artist myself, I love your blog and always enjoy receiving new inspiration in my inbox every day. Thanks for this post, yet more inspiration! Thank you, I'm very glad to hear you like the posts. I just visited your blog and see that I'll enjoy catching up with your posts. 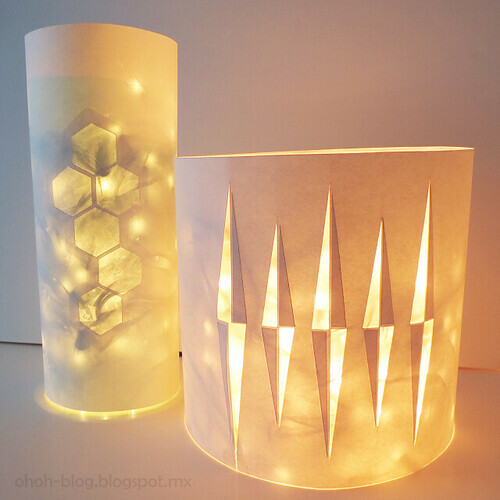 Fascinating interplay between practical lighting and artistic paper crafting!